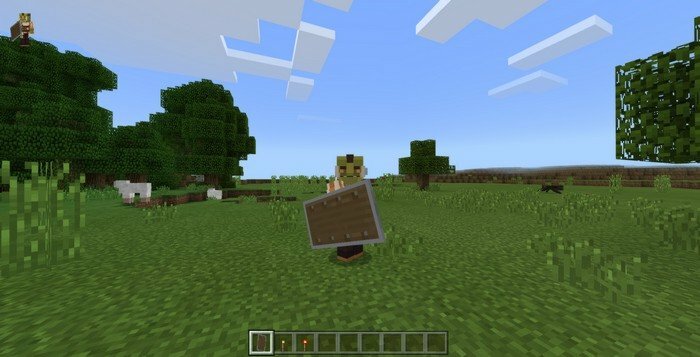 This is a concept showing, how would shield looked like if it actually was in Minecraft PE. It will replace a trident in the game and will inherit all of its parameters. 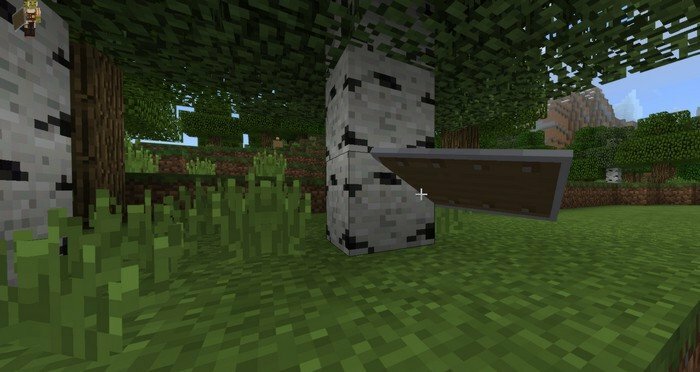 A shield will not block any damage, even though you're clearly holding it between you and a mob. But it's not as useless, as it may seem, you can do the shield slam or even throw it into your opponents. 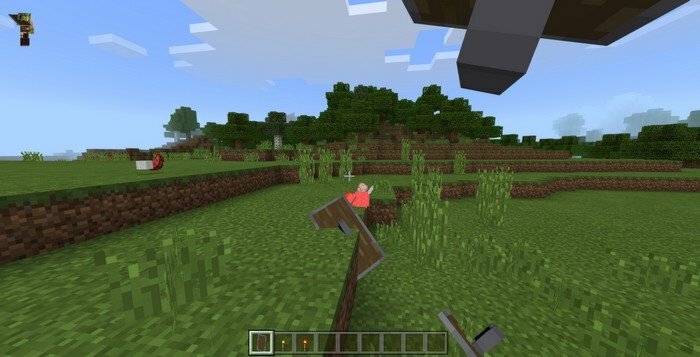 Probably, to get the full potential out of Shield mod for MCPE 1.4.2, we'll need to wait a couple updates.